Transitioning your toddler to the best sleep! I wanted a mattress that was first off made in the USA. That is very important to me. 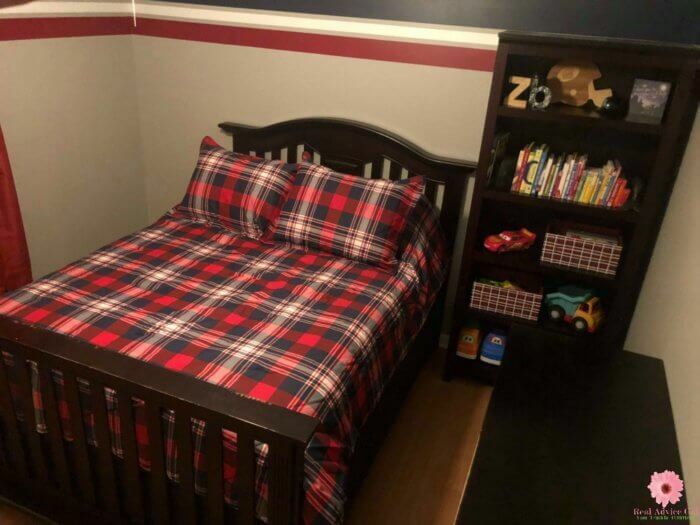 I also wanted a bed that is a great kid mattress but could also last him till he went off to college. It had to handle all his tossing and turning. He sleeps all over, stomach, back, sides even curled up in a ball. I also wanted that I could just open up and unroll from a small box. Our stairs as so narrow that I knew it would be difficult to carry around the corner. I came across SweetZzzMattress.com and fell in love with everything about them. One thing that stuck out right away was their guarantee. They allow you to test it for 100 nights. They have all kinds of styles and all kinds of sizes as well. Something that surprised me as well is that with every single mattress that they sell they donate 20 meals to the LA food bank. Last year, the LA food bank donated over 53 millions meals. 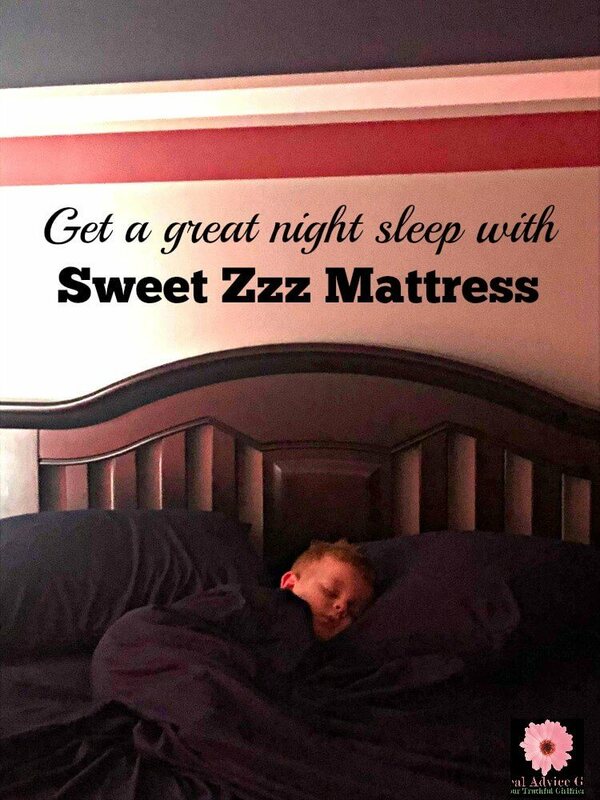 SweetZZZMattress.com also offers free shipping! On a Mattress!! I loved that! As you will see in our unboxing video, it comes in a small box as well making it easy even for one person to do the job of setting it up. They make every mattress to order as well. We ordered ours and got in about 8 days! You can not beat that for a custom order! They have mattress in different sizes, comes with a lifetime warranty and if you need a box spring, they have them too! 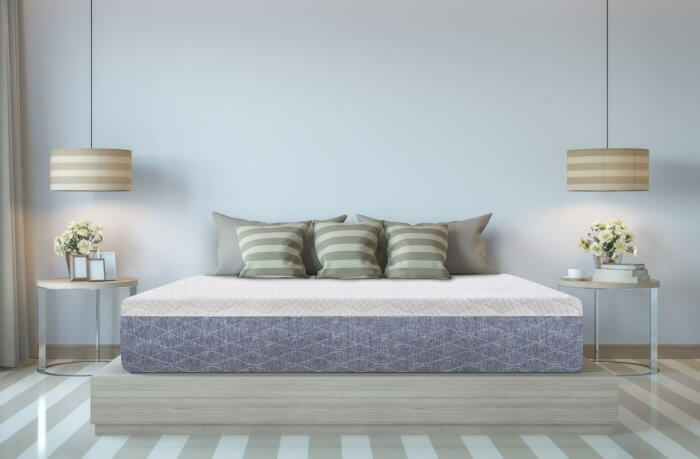 Check out below our video unboxing of the Sweet Zzz Affluent Rest Gel Memory Foam Mattress. The biggest thing me and my husband kept saying to each other was that there was zero odor and so much comfort. We have seen mattress that comes wrapped up tight in a box and plastic, and the memory foam has a terrible odor, and it takes at least a day to rise fully. This Sweet Zzz mattress had NO odor what so ever and it also was ready to sleep on in just a few hours. We found out that the reason behind that is because their beds are NOT made with phthalates, ozone depleters, PBDEs, mercury, lead or heavy metals and doesn’t contain formaldehyde either. It is so comfortable as well! We have been married ten years this year, and we looked at each other, and we know where we will be getting our new mattress from Sweet Zzz Mattress. We have a king size bed but we use XL twin mattress because it makes it so much easier to move, and we have moved five times within our first six years of marriage, so it was a smart decision. Ready for a great news? Only our readers are getting this exclusive limited time offer! All of you can get $100 off Sweet Zzz mattress and it comes with free shipping! To get this offer just go to SweetZzzMattress.com and use promo code: Madam100 and you will get $100 off ANY mattress with free shipping! 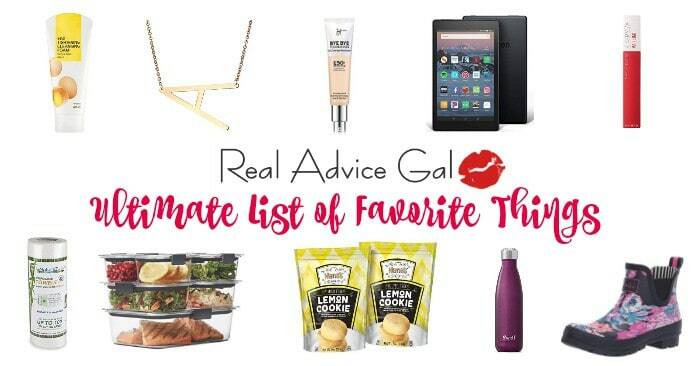 But hurry because this code will not last long! Share this with your friends and family too! Potty Training! 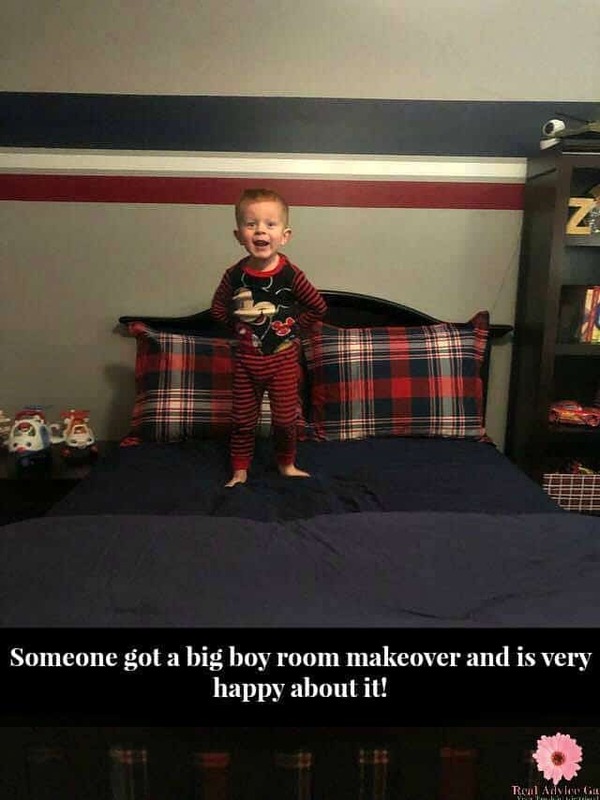 I have a boy, and a girl and I truly don’t know which was was harder! They are both so different! My daughter was potty trained sooner, but gosh she is sassy! My son, on the other hand, is just stubborn. We had him going on the potty fairly well around two years old but then my daughter went to pre-k, and he quit! It shook his world I guess, and I wasn’t going to force it and cause more stress for the both of us. Stressing about it or punishing them if they make mistakes is not going to help anyone in this process. Every child is so different when it comes to potty training. My daughter loved incentives and a chart! She just liked to make check marks, potty check, wipe and flush check, wash hands check! This seems so simple, but for her, it worked. Zachary loved the encouragement with words and mini MnM’s. Fist bump explosions and two mini mnm’s and all was well with the world, well, at lease when it came to #1…# two that took little prizes from the dollar tree! He loved blue dum dums! I would wrap a bunch keep them on the top shelf and every #2 he did on the potty he got to pick “present” wrapped suckers, a little car from the dollar tree which came in a set of 6 or so or even the pack of stickers, coloring books, new scented markers. I just wrap one each! Making it last as long as possible after about a month they got it down pat, and they won’t need all that anymore! But just keep encouraging them! Another tip I have for you is, when you switch to big girl/boy underwear to bed, of course, you will have a mattress protector on the bed, but in the middle of the night if there is an accident no one wants to pull the whole bed apart and hope there isn’t another accident before they wake up! So I bought a cheap vinyl tablecloth and put it on top of the mattress protector! That way I could just rip the sheets off wipe down the vinyl tablecloth and put new sheets back on and still had protection and didn’t have to deal with washing the mattress protector waiting for it to air dry. Finally last tip. Transitioning to a big kid bed can be scary. My biggest fear was falling off the bed. Bed rails are a great and inexpensive fix. We have a nightstand and bookshelf on each side so I was able to prop up pillows on each side to while he was sleeping he should feel that first! I also have a pillow I keep on each side under the bed, and when he goes to sleep I just pull them out from under the bed so if he were to fall he would land on that! I hope these tips were helpful to you as well and I want to hear from you which mattress you chose as well! 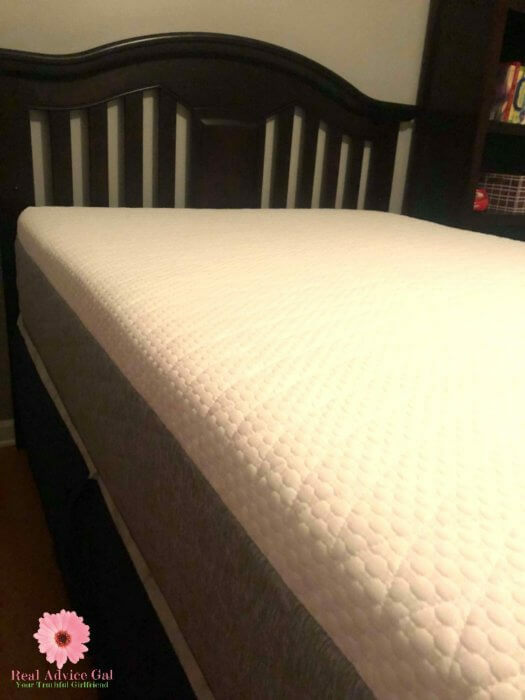 We have enjoyed the new mattress from SweetZzzMattress.com, and we are looking forward to many years of enjoyment with this mattress! Don’t forget about our special limited time offer!